Ultherapy is Now 40% Off! 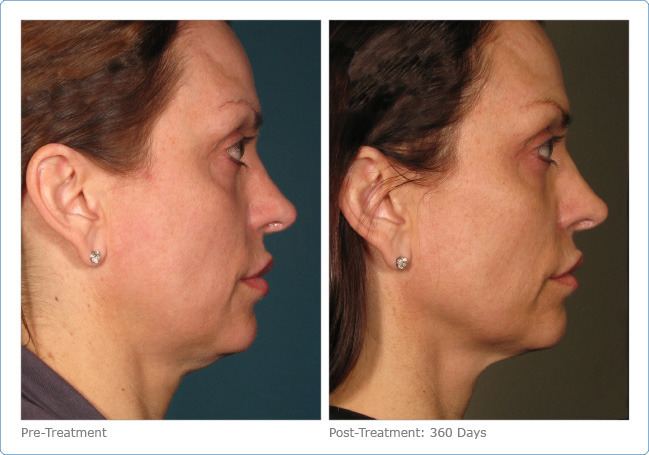 Full Face – Just $2495 or $70/mo! New Focus Treatments Lift Brow, Smooth Crows Feet & Lines around Mouth and start at just $499! Now with ProNox self-administered nitrous oxide Ultherapy is more comfortable than ever before. Top Non-Surgical Facelift & Neck Tightening is Now 40% Off! Ultherapy tightens skin on your face and neck resulting in an appearance that is years younger. * Ultherapy uses Ultrasound technology to lift and tighten the skin naturally- without any surgery or downtime and now at 40% Off Full Face Ultherapy is less than you will find it anywhere else! And now Ultherapy can also be targeted to individual focus areas to lift your brows, smooth crows feet and the lines around your mouth, tighten around the eyes as well as improve the decolletage (chest) lines and wrinkles! New Ultherapy Focus treatments are affordable and start at Only $299! Unlike lasers, radio frequency, surgery and other technologies, non-surgical Ultherapy bypasses the surface of the skin to deliver the right amount of ultrasound energy at the right depths and the right temperature. This energy triggers a natural response under the skin, jump-starting the regenerative process. Ultherapy by Ulthera has also been featured on The Cutting Edge, a 20/20 special with Barbara Walters as the most advanced non-invasive treatment in cosmetic surgery for facelift like results. Want to learn more? Fill out this form and we will send you all the Information. Our faces can tell many stories, but droopiness and sagging skin can make you look old and tired. Until Ultherapy, facelift surgery had been the only real option for sagging skin but now with Ultherapy there is a non-surgical face lift option for counteracting the effects of time and gravity on your skin. Using ultrasound, this 90 minute face and neck treatment employs your body’s own regenerative response to gently & gradually restore elasticity to the skin as well as its underlying tissues. With just one non-invasive Ultherapy treatment you conteract the effects of time, gravity and sun exposure on your face and neck without the downtime of a facelift. 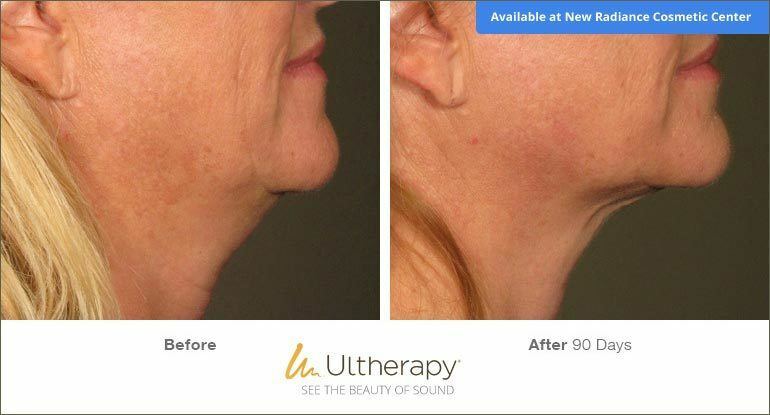 Ultherapy’s ultrasound also stimulates new collagen production, known as neocollagenesis, resulting in a clinically significant lift 2-3 months post procedure. Ultherapy is the only FDA-cleared non-invasive procedure that can lift the eyebrow, neck, under-chin, and to improve décolletage lines and wrinkles. Ultherapy is better than ever with Ultherapy 2.0. It is a virtually painless treatment with double the results! Ultherapy directs sound waves not only into the skin but deep under the skin to the same tissue addressed in surgery. Never before has this tissue been accessible without surgery and at a fraction of the cost of a face lift. Ultherapy treatments lift, tighten, and tone loose skin around the brow, cheeks and neck to counteract the effects of time and gravity. Ultherapy’s FDA-approved skin-tightening technology uses a dual approach to nonsurgical skin toning and tightening. With the patented Ultherapy System, ultrasound imaging visually maps the deepest layers of skin, (where a surgical face lift targets) allowing for precise and targeted skin tightening energy to be delivered where new collagen production can be most beneficial – the deep connective tissues of face and neck. Besides the visible effects of lifting and tightening, there is also an additional result from Ultherapy, the creation of new collagen, which helps your skin maintain its youthfulness. How do Ultherapy Treatments Feel? As the ultrasound energy is delivered, you will feel pulses of energy targeting the treatment area. Comfort levels vary from person to person but Ultherapy is tolerated by most patients. We can use nitrous oxide for those who would like zero discomfort with a self-administered system called Pro-Nox. After Ultherapy®, you may notice some initial effect, but the main results will take place over 2-3 months, as your body naturally regenerates collagen. Since the procedure stimulates your own collagen production, you may continue to notice changes up to 12 months from your treatment date. FDA-cleared Ultherapy® has been used safely in over half a million treatments worldwide. Ultrasound energy has been used safely in the medical field for more than 50 years. In addition, every Ultherapy specialist at New Radiance Cosmetic Center has received extensive training which allows us to effectively sculpt your face during your procedure. How do I know when Ultherapy is Right for Me? When you are a good candidate for Ultherapy you will have mild to moderate skin laxity where your skin begins to feel and look less firm. Examples include a lowered eyebrow line, loose skin on the neck, sagging under the chin, and lines or wrinkles on the chest. Of course, the best way to find out if you’re an Ultherapy candidate is to schedule your free consultation with our experts. Call (561) 776-0116 to set up your free consult. Ultherapy treatments lift, tighten, and tone loose skin around the brow, cheeks and neck. At New Radiance Cosmetic Center St. Lucie we offer both full face treatments and more targeted focus treatments. Our focus treatments zone in on your needs and make Ultherapy an affordable alternative to surgical facelift procedures. Our clients are always telling us how much they love their Ultherapy results, so we pride ourselves on providing one of the best values for Ultherapy in South Florida with expert practitioners and tailored plans to fit your unique needs.